Two of our Society members – Jeffrey Hammond and Ged Curley – are exhibiting at galleries in Lytham St Annes this November. Jeffrey Hammond’s exhibition, called All the World’s a Stage, is at the Fylde Gallery, Lytham from 3 November until 3 December. 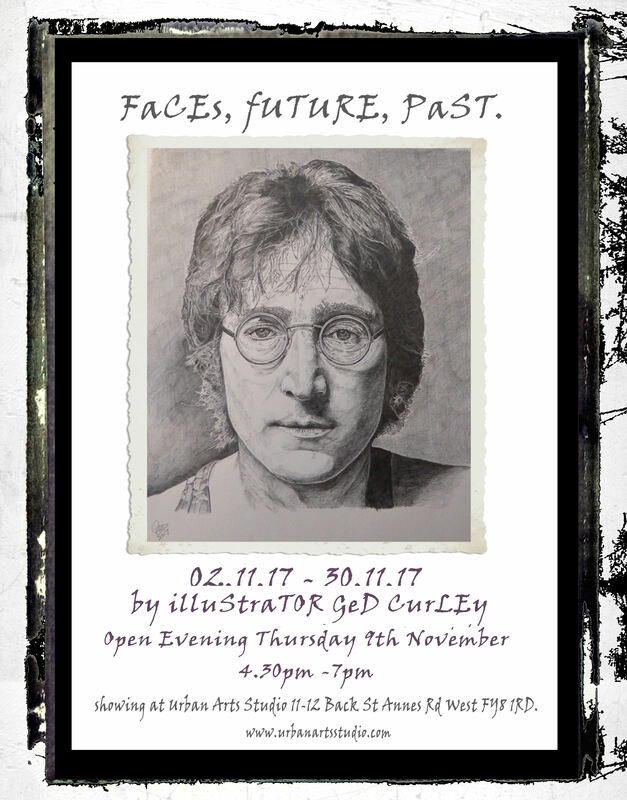 Jed Curley is exhibiting portraits of ‘ageing rockers’ at the Urban Arts Studio in St Annes, in an exhibition called Faces, Future, Past. Born in Blackpool, Jeffrey Hammond attended the Central School of Art in London before co-founding the rock band Jethro Tull, in which he played bass guitar for a number of years. From performing on stage himself, Jeffrey now uses his paintings as a stage for the crowds of people he paints. This is Jeffrey’s first exhibition; his selected paintings include scenes and people from both UK and Iranian landmarks. An in-depth interview with Jeffrey Hammond was recently published in Lancashire Life – you can read it here. 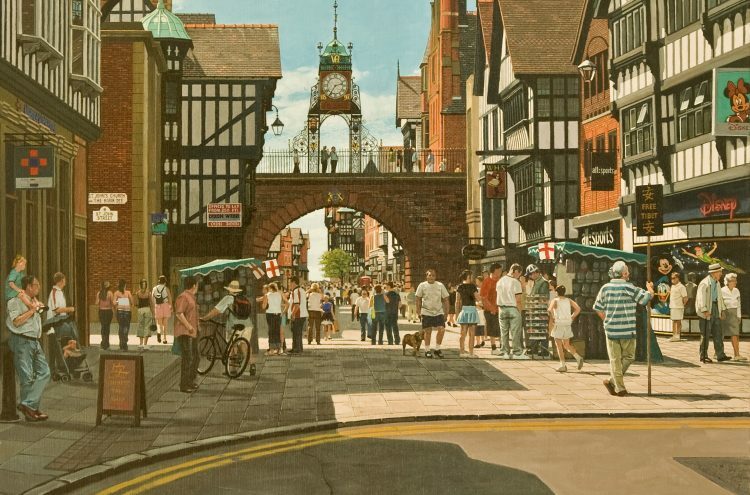 Retired illustrator Jed Curley is well known in the Society for his photography. He and his camera are never far away as he captures his subjects at our lectures, Special Interest Days, excursions, etc. His exhibition includes sketches of well known rock stars. We wish both of our artistic members the very best of luck with their exhibitions!